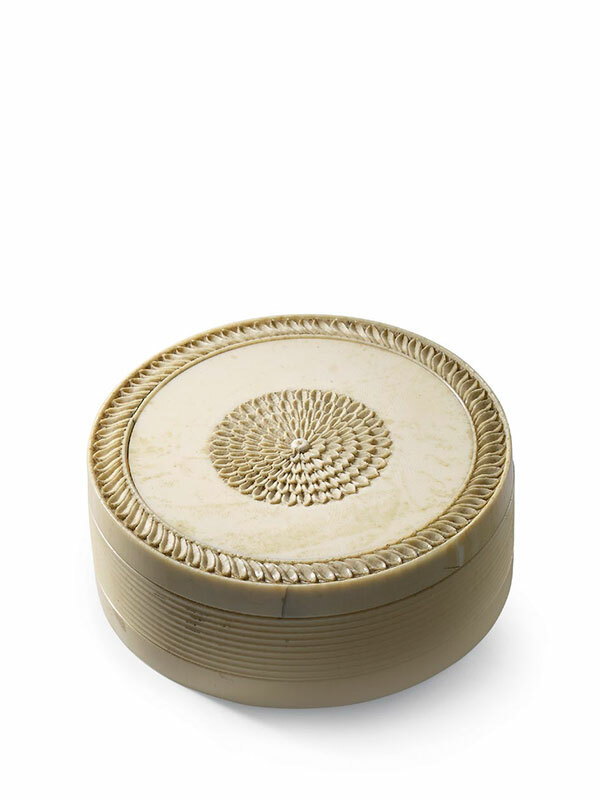 A finely carved oval ivory box. The lid has a flat top with a central design of an elaborate flower surrounded by a smooth, undecorated surface, the outer edge is carved with a stylised repeated leaf design. The side of the lid is undecorated. The lid unscrews from the bottom part of the box, the outside of which is carved with simple bands. The inside of the box is smooth and undecorated.